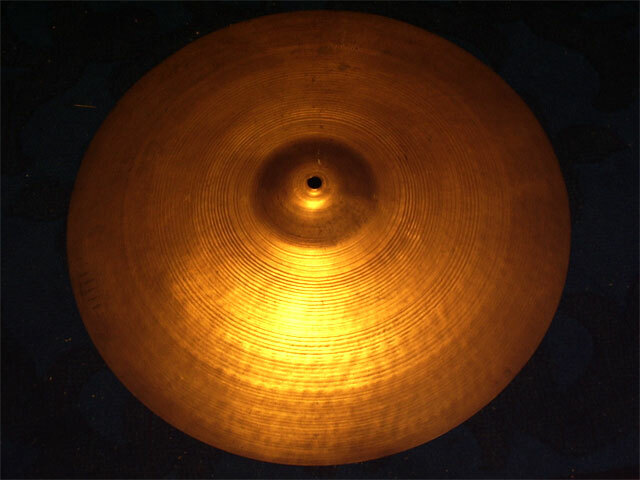 This is a paperthin 1950s A. Zildjian crash, very flexable edge's. 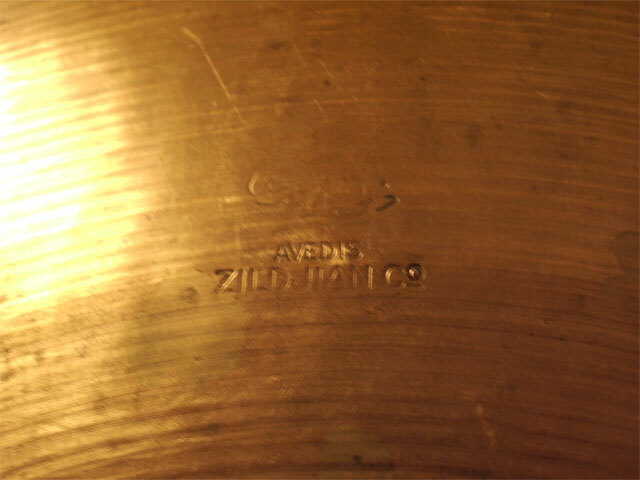 Even with a light touch the cymbal explodes very easy. 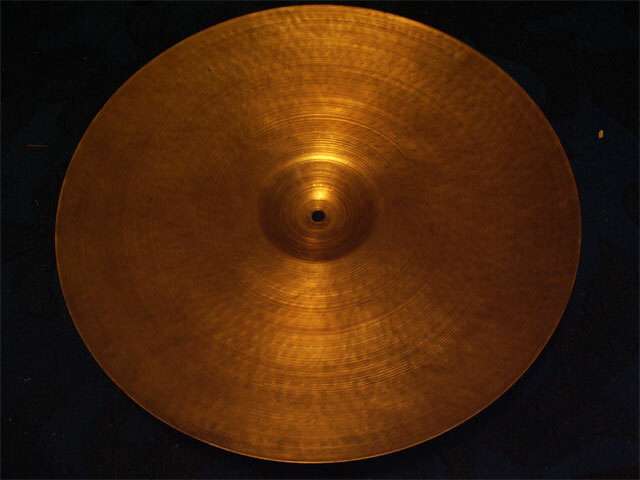 Old style cymbal with mature quality. Bautiful. 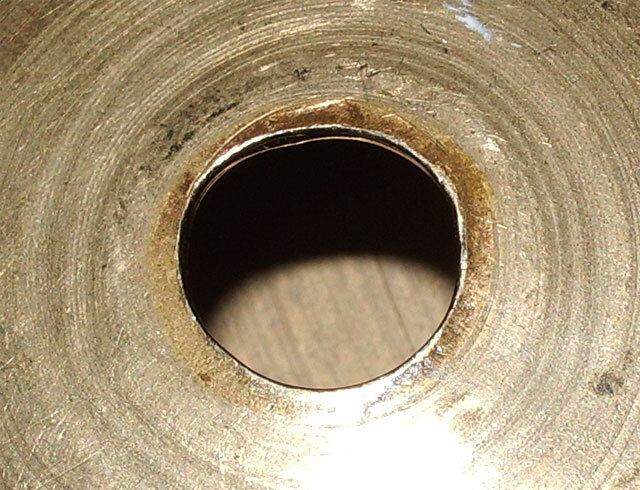 No keyhole or cracks, nice patina. Some stains, not cleaned.